The Philippines ended its 2018 Asian Games quest in Jakarta, Indonesia on Sunday finishing 19th overall after bagging a total of 21 medals. The Philippine team is going home with four gold medals, two silver medals and 15 bronze medals. Yuka Saso won a gold in the women’s individual category in the golf competition. She won another gold with Bianca Pagdanganan and Lois Kaye Go for the women’s team category for golf. 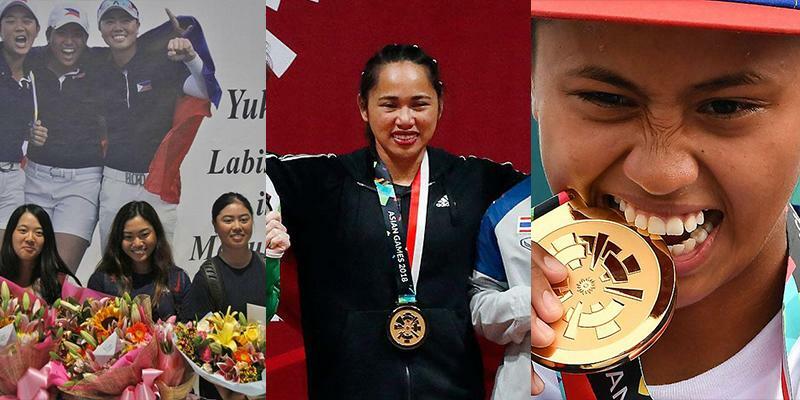 Two other gold medals were earned by Margielyn Didal for the women’s street category for skateboard, and Hidilyn Diaz for the women’s 53 kg category for weightlifting. The country bagged two silver medals courtesy of Ragon Ladon for the men’s fly 52 kg category in boxing and Kiyomi Watanabe for the women’s 63kg category in judo. Meanwhile, the 15 bronze medals were won in golf (1), boxing (2), pencak silat (4), taekwondo (3), wushu (2), cycling BMX (1), ju-jitsu (1) and karate (1). The triathlon team is the last event participated by the Philippines in the Asiad, finishing sixth in the mixed team relay event. The 2018 Asian Games is set to have its closing ceremony on Sunday.